In architecture. 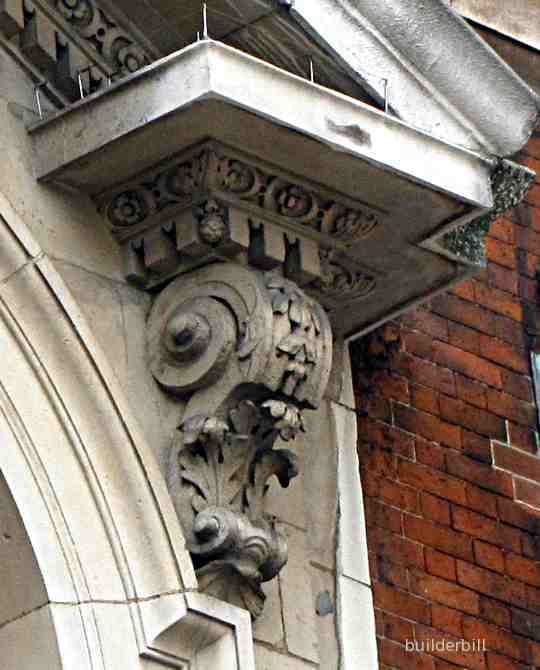 A decorative bracket in the form of a vertical scroll that supports a cornice or entablature over a door or window. 2. A projecting boss on a column or wall block. Also called a console. Both of the illustrations here show stone ancons but the can also be seen in timber and other materials. In simple terms the are scrolled brackets that support an extended ledge over a door or window or the pediments of a classical style building. 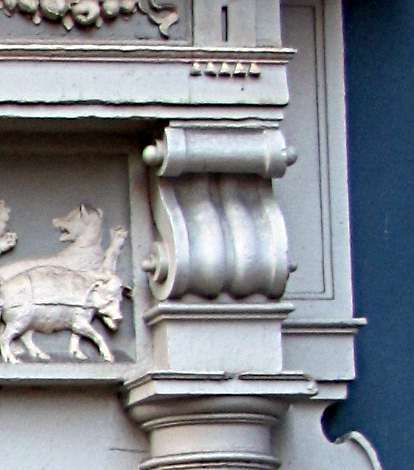 The one above is an example seen on one of Sir Christopher Wren's buildings in Greenwich, London. The one below is of a similar vintage seen in the old sector of Amsterdam.